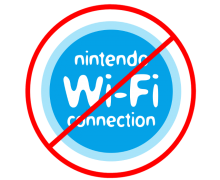 Nintendo Wi-Fi Connection, the old online multiplayer service that Nintendo used for the Wii and DS systems, has now officially been shut down. From now on, any Wii, DS or DSi online features will be unavailable, including those of Phantom Hourglass. Read more of the details after the jump. Hopefully, any matches or score boards that you were looking to participate in on DS or Wii games were enjoyed before now, because they will no longer be supported. Even if you play Wii games using the Wii Menu on the Wii U, or if you play DS games on the 3DS, the online features will still not work. Of course, local multiplayer will still be available. The full list of games affects can be found here. The Wii U and 3DS are sure to offer plenty more online opportunities, so this is not the biggest loss, and we did know this was going to happen for quite awhile. Perhaps this is Nintendo’s way of moving on to bigger and better things, and even convincing some more people to get WiiU’s and 3DS’s. What do you guys think? Are you upset at losing these online features? Leave a comment!